The 2018 racing season has been exciting and extremely challenging with National Race events held everywhere from Oregon to Florida, from Texas to Illinois, from Oklahoma to Arkansas and to Maryland and not in that order. 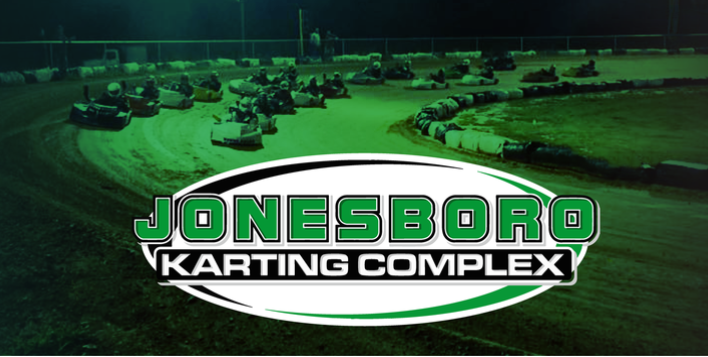 With the most significant event of the USLMRA 2018 season still to come, this year’s 2018 Sta-Bil 360 Performance Nationals event will be held at Jonesboro Karting Complex in Bono, Arkansas and there are some issues that need to be addressed. With this year’s event at a venue where USLMRA held a National event earlier this season we need to ensure that racers and operating staff members demonstrate our professionalism and pride in our sport. This has all the possibilities of being a spectacular event for USLMRA, so it is asked of you to come prepared follow the time lines posted and ensure that you and you pit crew members conduct yourselves in a professional manner. This weekend could have a major impact on future events for the sport of lawn mower racing heading into the future. Registration and Tech Will only be open during the time stated, do not wait for the last minute to show up for inspection or Registration. As much as we would hate to, we will not be able to continue past the posted times. Once we begin, we have a timeline that we want to meet. So other words we’ll be on the clock! So be ready, when practice, heats (if needed) and finals begin to be lined up and ready to roll when you are summoned to the track. We will have no time to wait for those who are slow lining up. This year we have had a deep concern about the driving habits some drivers are demonstrating in several classes with the most concern being in the GP, FXT and FXS class. So it’s up to you drivers to clean up your act. Enough said! It is asked that all drivers once again review section I (Rules of the Track) and section II (Rules of the Pit & Grid) in the 2018 rulebook and remember all eyes will be on “The Lawn Mower Racers”. We will not tolerate any type of un-sportsmanship type of conduct. As with past events, we have always taken the stance that we do everything possible to allow all racers to take part in racing events for that day – however, with a large number of racers expected and the tight schedule we will be required to follow this year, it is imperative that all mowers are to the USLMRA standard. Remember this is not just a USLMRA National Event – it’s the “Sta-Bil 360 Performance Nationals”, and we are the big show so let’s be impressive. Governed Engine classes (JP, IMOW, GPK, & GP), engines must be completely stock! With the exception of the exhaust. Other words, as removed from a grass cutting mower with no modifications, example; Starter, air cleaner, double batteries, Carburetor Modifications or internal modifications. Throttle cables must be secured so that RPM cannot be increased by pulling them on Governed classes stated above. This will be checked closely! Fuel will only be fuel bought from service stations (pumped Gas), like SUNOCO, Marathon gas stations that sell 100 octane or VP racing fuel. No Alcohol or other type of additives of any type can be used. Mowers MUST be clearly marked with Correct class, Number, and Sta-Bil Stickers and be clearly visible from at least 100 feet. This is to assist Timing and Scoring and the Chief Steward during the race and during line up. Which means lettering/Numbers must stand out clearly. “This is an issue drivers continuously fail to comply”. Mowers must be clean and free of oil and fuel leaks prior to coming through Technical Inspection. Many have been identified to have fuel & oil leaks and rejected. Again another issue drivers continuously fail to comply. All Prepared classes must have shiftable transmissions with an exposed shifter lever and an operational Clutch which engages/disengages the driveline. When going through Tech ensure you bring the complete mower, which means with hood and transponder, no exceptions! Only the driver will accompany the mower thru tech with the exception of minors, a parent may accompany them. This is to eliminate crowding around the tech line. The Tech area in Jonesboro is extremely small and space is limited. Remember only FXS/FXT can have the axles offset as stated in the rule book. Finally, please be prepared, have your mowers ready and arrive early to the Tech area for inspection. In past years many drivers wait for the last minute to go thru tech and with the staff doing multiple duties this has created a problem in starting the event on time. This reminder is not intended to discourage anyone from attending, but rather to encourage all to download the USLMRA Rule Book and read it! Then, if any questions arise, contact the USLMRA for clarification of the rules. Again we will do everything possible to allow everyone to race, but Local Chapter Presidents and Drivers must also do their part in ensuring mowers in their LC/AC are prepared for inspection to USLMRA Standard. Finally, With an extremely high number of racers qualified to attend, it must be understood that this is a championship race and we will be looking at allowing a safe number of mowers on the track for the championship race. Please remember that the top ten in the points standing will be pre gridded, the remainder of the field 11 on up will be determined by a heat race if needed to safely fill out the race field. Others words, if you’re not in the running for championship top ten standing there, is a possibility you may not qualify for the championship race. Another note is that drivers must have complete 2 USLMRA National point races to be qualified to compete at Nationals. The concern is in the following classed; GP 39 Mowers Qualified, BP 22 Qualified, FXS 31 Qualified, IMOW 11 Qualified, CP 24 Qualified and FXT 16 Qualified. This means if there is a possibility that if we start 15 mowers in finals there is a chance that some of the mowers will not be able to race in the finals. Racers need to understand that our main concern is safety. We will not allow an excessive number of mowers on the track if we deem it to be unsafe. Again this is due to the fact that this is a championship race weekend not a regular national event. Once we get on site we will determine what the safe number of mowers will be. Again we will do everything possible to allow everyone to race, but Local Chapter Presidents need to get this information out and Drivers must also do their part in ensuring their club member understand the importance of the event. So let’s be prepared, be professional, be safe and have fun. We look forward to seeing you at the 2018 Sta-Bil 360 Performance Nationals weekend, have a safe journey!